9678 Twin-pod Cloud Car & Bespin is a Star Wars themed set released in 2012. The set will feature a miniature model of a Cloud Car, a Lobot minifigure, and Bespin planet pieces. This is a description taken from LEGO.com. Please do not modify it. Defend planet Bespin with the twin-pod cloud car! 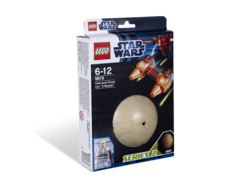 Explore the LEGO Star Wars galaxy while you play! 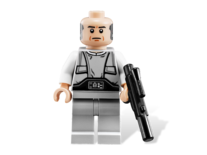 Lobot has been redsigned for this set. This is the second set to include Lobot,The first being 7119 Twin-Pod Cloud Car. Facts about "9678 Twin-pod Cloud Car & Bespin"
This page was last edited on 11 August 2016, at 15:33.